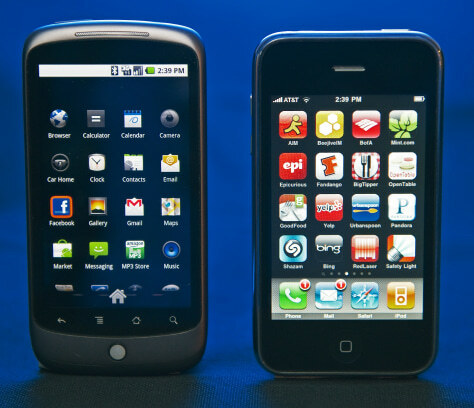 The Google Nexus One smartphone, left, which runs on Android software, stands next to market leader, the Apple iPhone. According to ABI, Apple's iPhone accounted for 18.1 percent of global smartphone sales in the third quarter of 2009. In the fourth quarter, that number dropped to 16.6 percent.